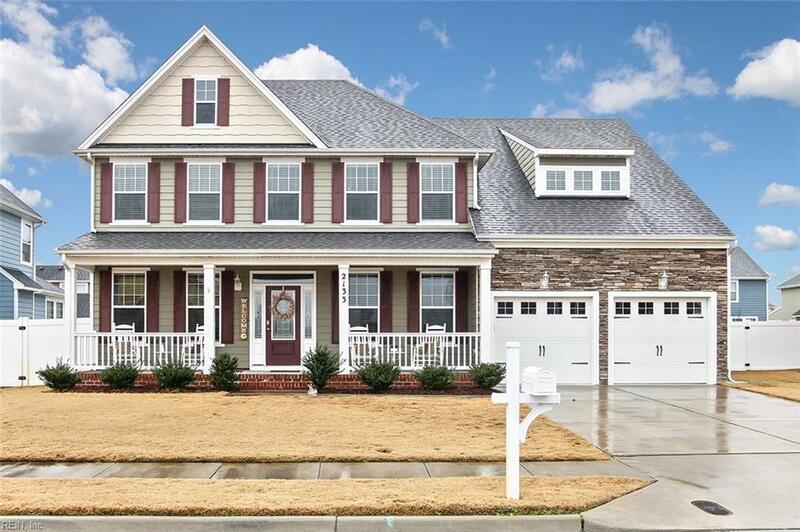 2133 Bellflower Way, Chesapeake, VA 23323 (#10240187) :: Abbitt Realty Co.
MOVE IN READY with many Upgrades, this beautiful and spacious Home is BETTER THAN NEW! Boasting all the upgrades you want in a new construction home including Maintenance Free Privacy Fence, Well and Inground Sprinkler w/ Rid-O-Rust System, Downspout & Gutter System, Garage Doors w/ Openers, Maintenance Free Deck, Granite Counters & Ceramic Tile Floors in Eat in Kitchen and Baths, Tankless Water Heater, 2 car Garage w/ Utility Sink and Overhead Storage Shelving, Storage Shed, 2nd Floor Laundry Room with cabinets, Sun Room, Blinds throughout, and Hardwood Flooring. 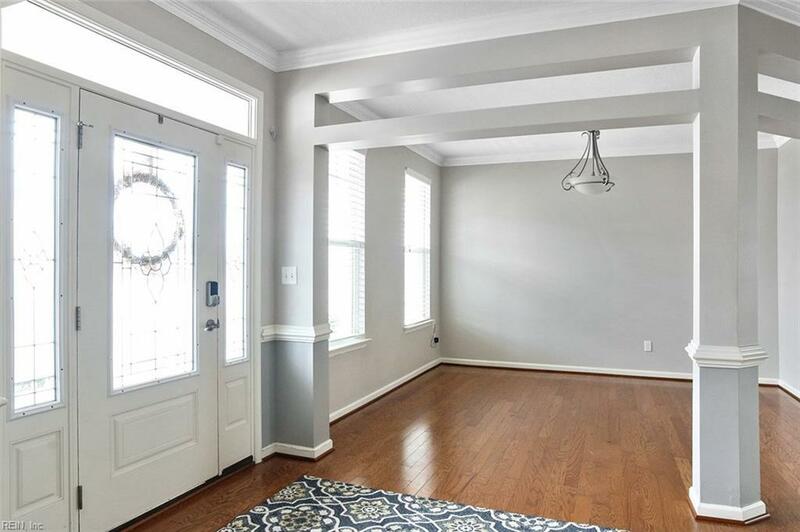 The LIST GOES ON to include all Bedrooms have ceiling fans w/lights and Master Bedroom Suite featuring vaulted ceilings, tile surround step in shower with double heads, jetted tub with tile surround, and large organized walk in closet with two entrances that is a joy to use every day! 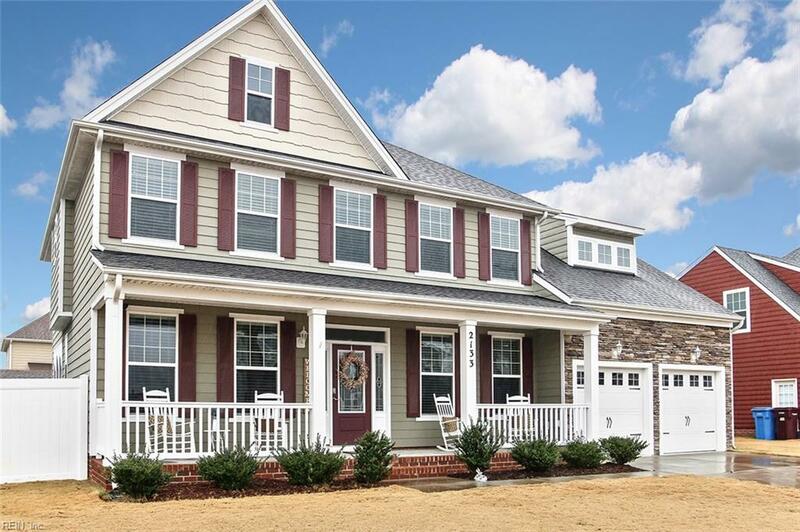 This lovely home is located in a New Home Community and attends Grassfield Schools. 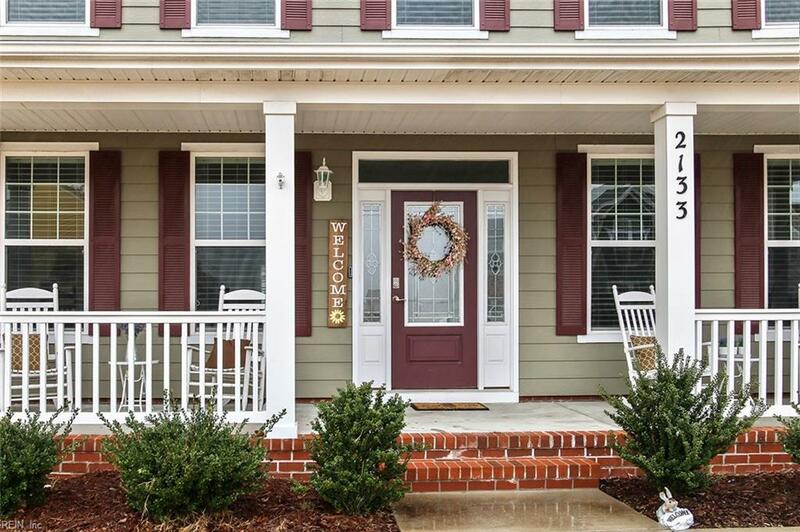 Easy access to Shopping, Dining, and Interstates.